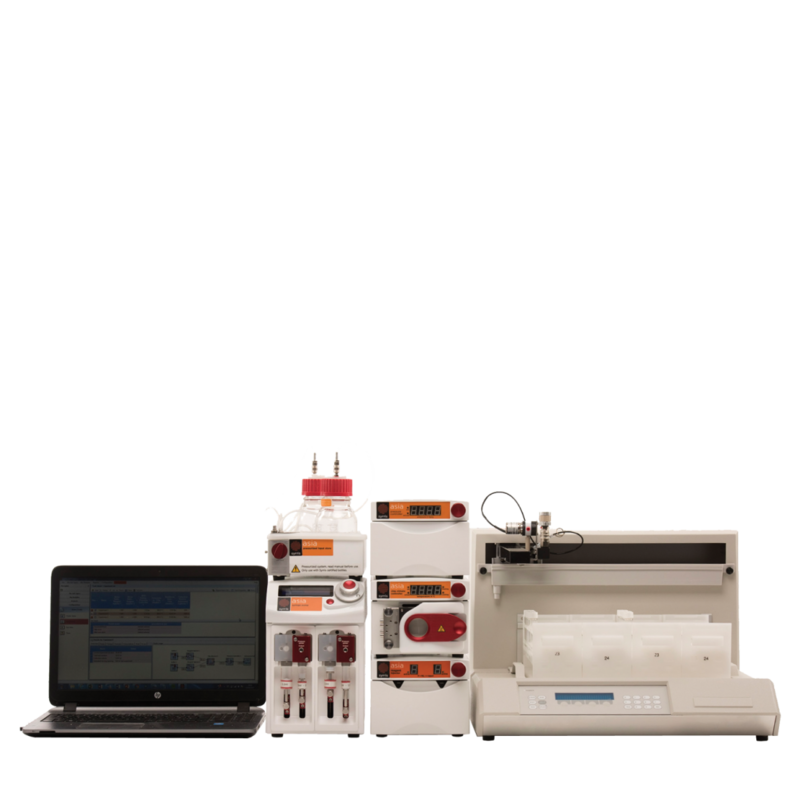 The proprietary technology allows manually controlled or fully automated experiments. 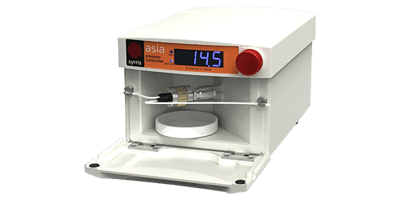 The Asia Flow Chemistry System offers maximum chemical resistance with an extensive range of temperatures, pressures, and reaction times on scales from mg to kg. 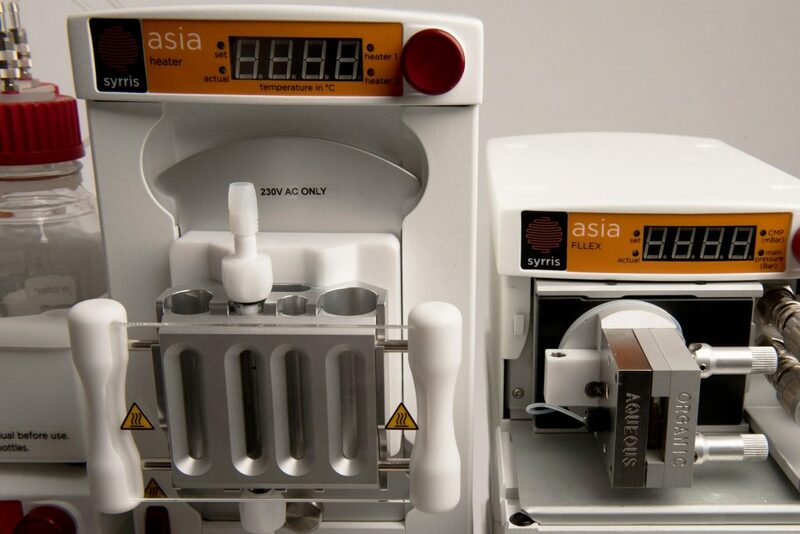 The Asia Flow Chemistry System celebrated its unique design as a winner of the R&D 100 Award for innovative technology, is a benchmark of excellence in continuous flow, and is proven in over 250 publications. 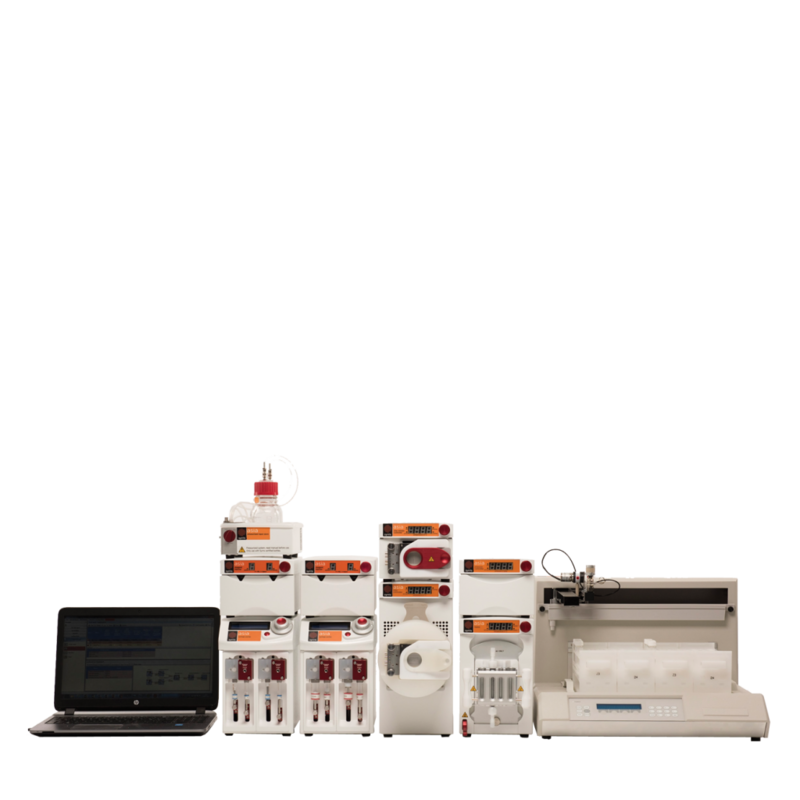 Asia offers a variety of flow chemistry modules and systems in either entry level or advanced configurations for both beginners with modest budgets and experts who demand the utmost functionality. The modular nature allows you to be flexible with your applications and adapt your configuration to suit your needs. 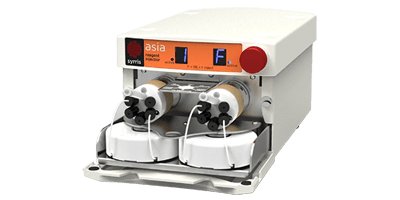 The Asia system is truly the most flexible flow chemistry system available. Asia allows unprecedented control of reaction conditions. 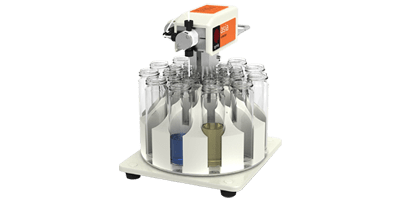 Precise control of key reaction parameters such as temperature, reaction time, mixing and molar ratios allows for higher yields and better selectivity. 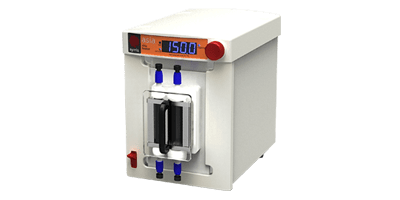 Reactions that would otherwise be difficult using traditional batch conditions can easily be harnessed, flow reactions can be telescoped (or run in sequence), reactive intermediates can be prepared with no isolation and potentially hazardous reagents can be generated and used in-situ. 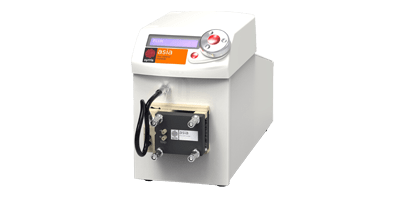 Asia offers a wide range of reactors for both solution phase and solid phase chemistry ideal for reaction optimization or preparative synthesis. 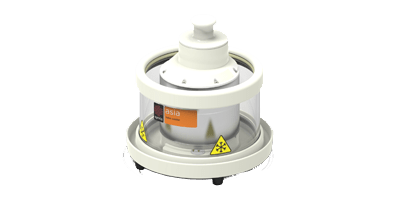 The complete range of reactors offer excellent chemical resistance, high pressures, wide temperature ranges, visibility of your reaction and rapid mixing. 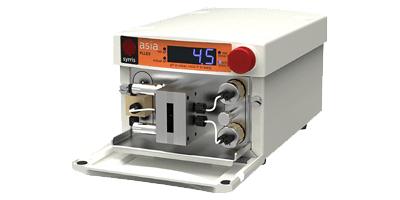 The addition of Asia FLUX allowing continuous electrochemistry applications to be performed make Asia extremely versatile. 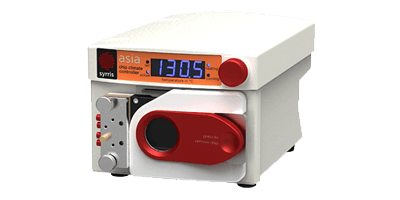 Designed specifically for flow chemistry, the Asia Syringe Pump provides incredibly smooth flow rates over the complete range of dynamic flow rates. 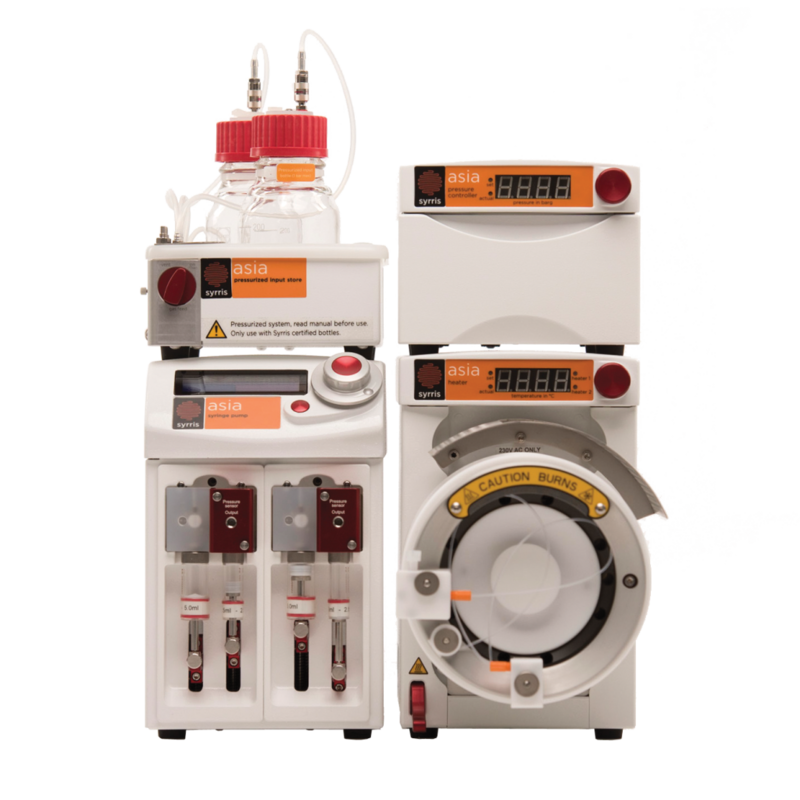 Precise flow rates with extremely smooth pressure output are key to getting the greatest control for your flow chemistry experiments. 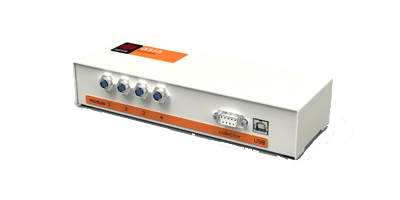 The compact microfluidic module offers two independent flow channels each with an integrated pressure sensor and an accurate flow rate range from 1 μL to 10 mL/min. Asia adds the ability to perform key post-synthesis work-up and analysis. 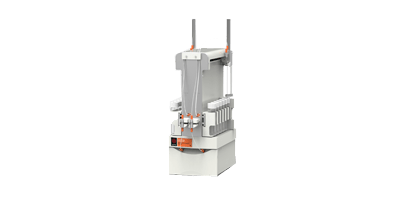 The Asia FLLEX module is the flow chemistry equivalent of a separation funnel. 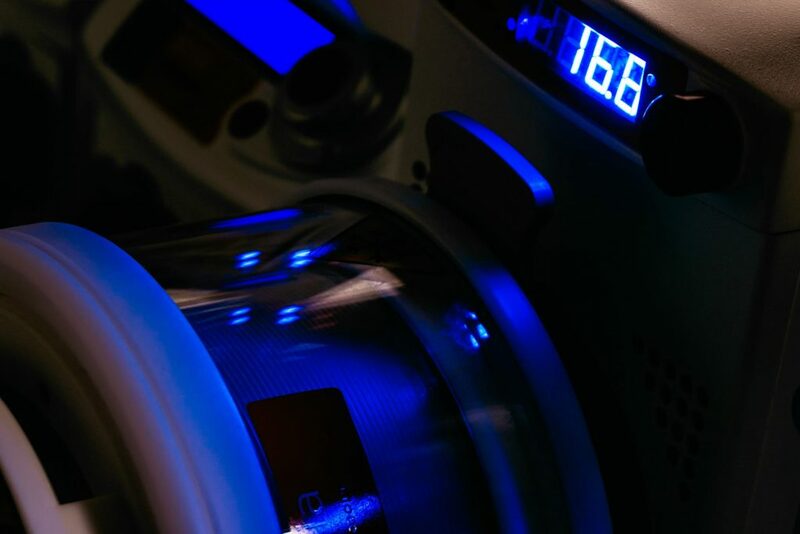 The module performs extraction of your impurities followed by separation of the aqueous and organic phase using advanced membrane technology. 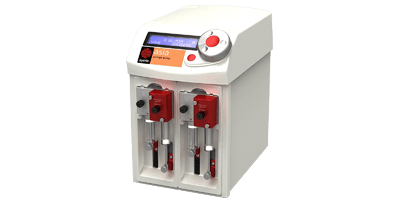 The Asia Sampler and Dilutor enables on-line reaction analysis by offering automated sample extraction, dilution and transfer to virtually any LCMS, GCMS, UPLC, etc. without stopping your experiment. 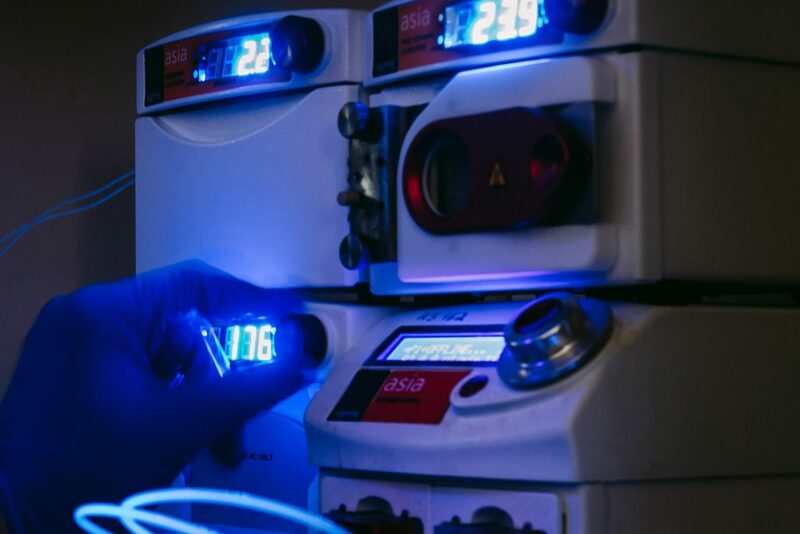 Harness the benefits of flow chemistry to access novel disconnections and chemical space. 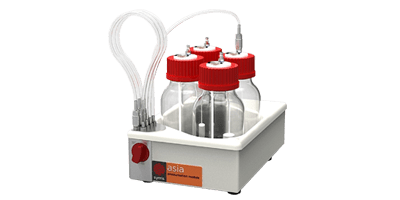 Increasing the range of your chemistry beyond the limitations of traditional batch techniques is made simple with Asia due to its flexible nature. 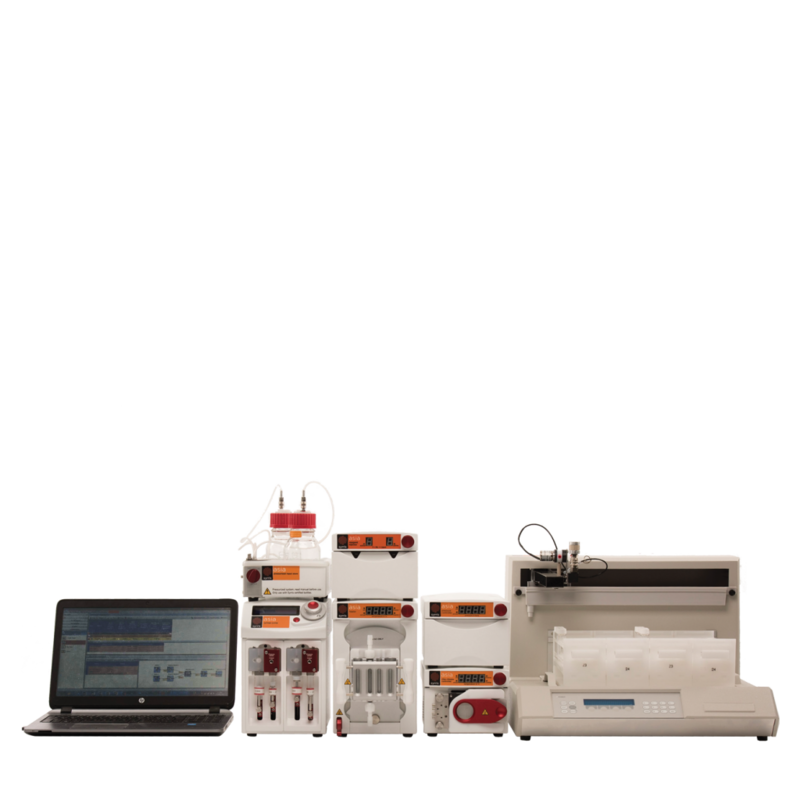 Due its modular nature, the Asia system can be tailored to suit your chemistry. All modules can be interchanged so that you can choose your own functionality. 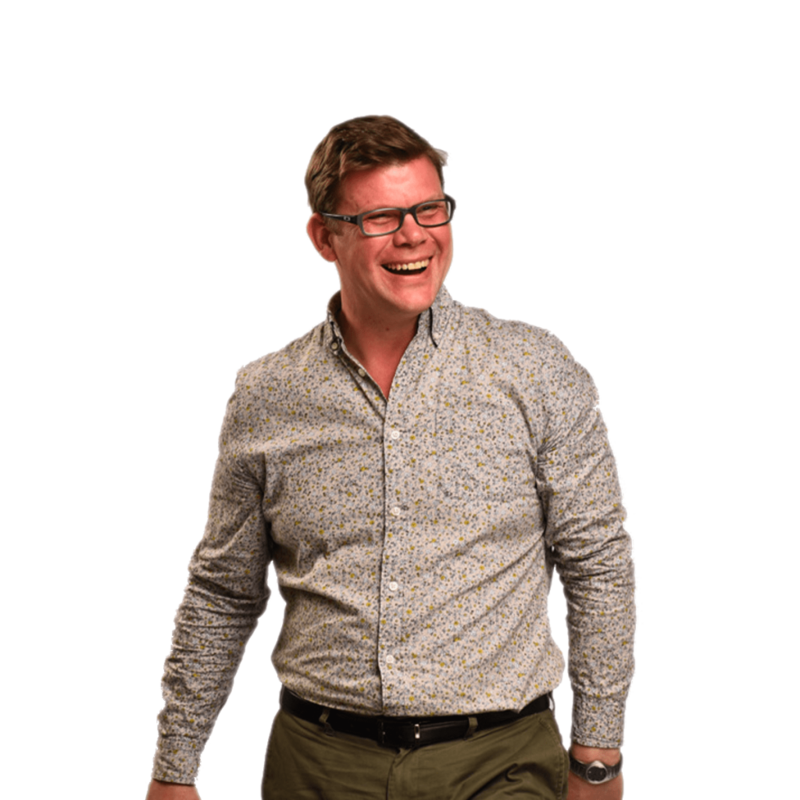 Speak to one of the Syrris chemists to assist you in your choice. 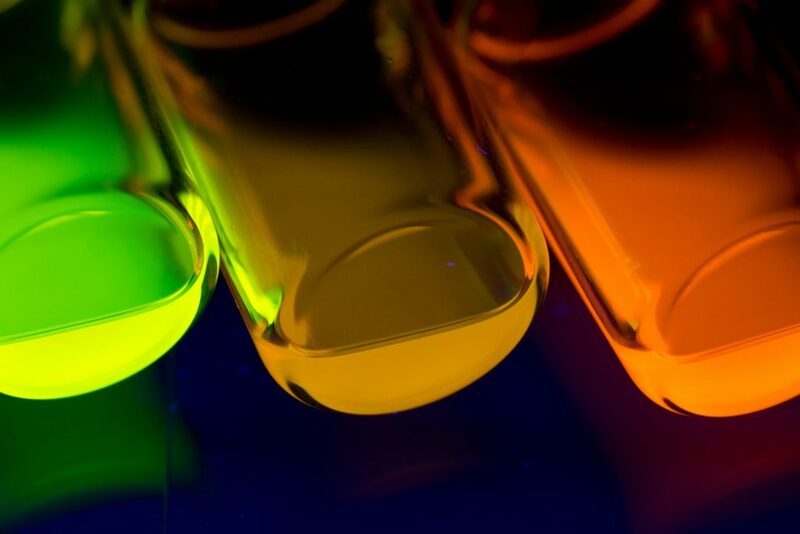 Electrochemical activation of chemical reagents enables selectivity and transformations impossible by other techniques. 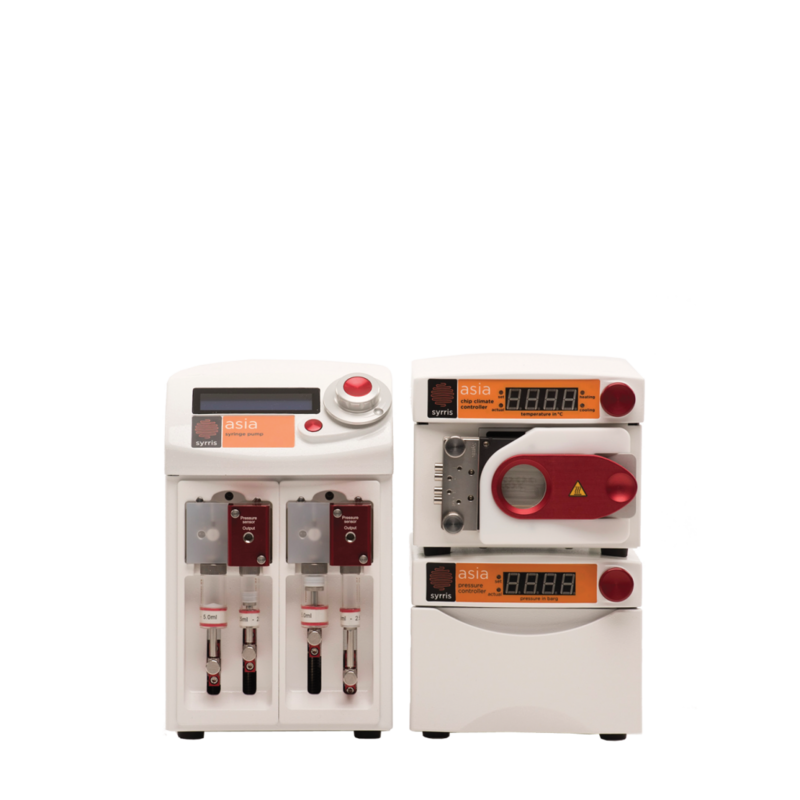 The Asia Electrochemistry Systems give easy access to electrochemical reactions in continuous flow. The Asia Cold Systems have been specially defined to enable safe chemical reactions under cryogenic conditions (e.g. exothermic organometallic reactions). 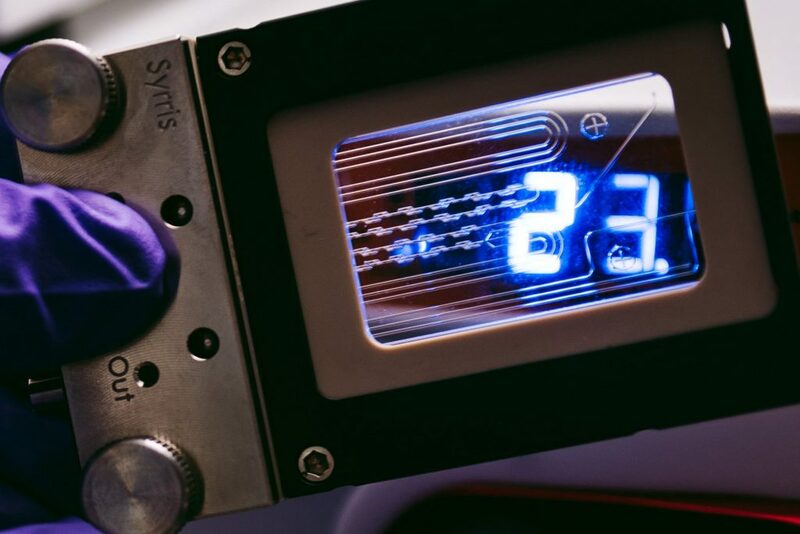 The systems incorporate all the required parts for running reactions in continuous flow at temperatures down to -100°C. 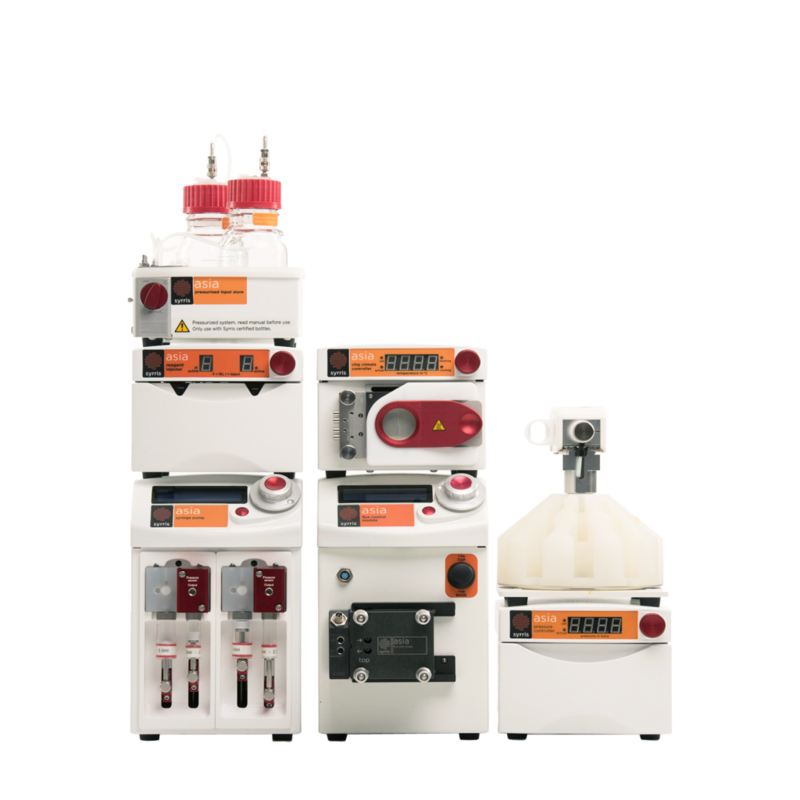 For limited quantities of starting material or expensive reagents, Asia Discovery Chemistry Systems offer setups capable of running flow experiments using very small amounts of reagents. 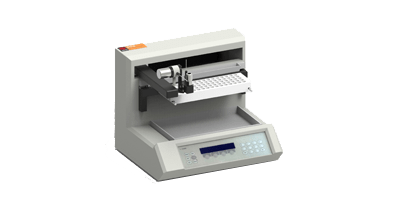 Users can design a list of experiments, each requiring just hundreds of microliters of reagents, and run them in sequence. 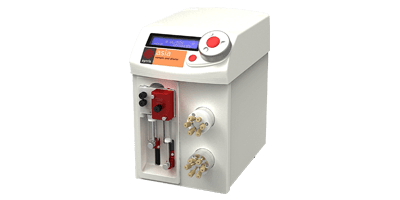 Ideal for converting a batch reaction to a flow process and varying reaction parameters to optimize the reaction. 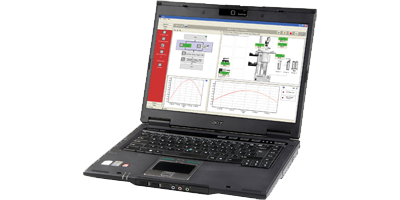 Easy setup of tens of automated reactions using the intuitive Asia Manager Software. 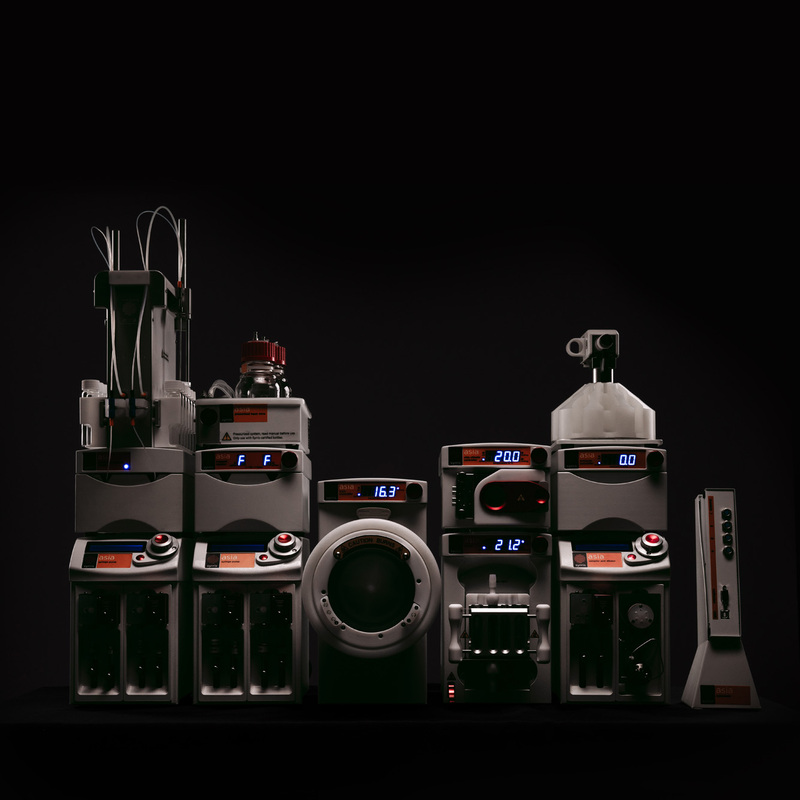 The systems will calculate the required flow rates and reagent amounts and fully automate each reaction. 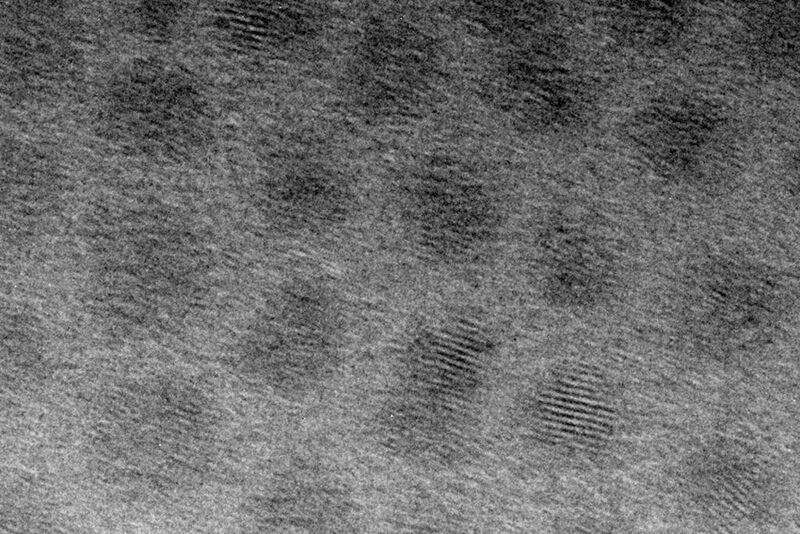 Flow chemistry offers exceptional advantages for nanoparticle synthesis which result in narrow particle size distribution and control over shape and architecture. 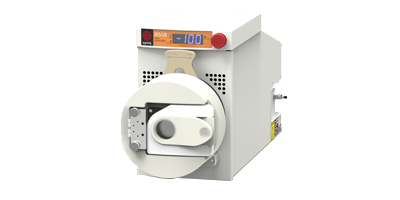 The systems offer fast and reproducible mixing, excellent heat transfer and accurate temperature control. 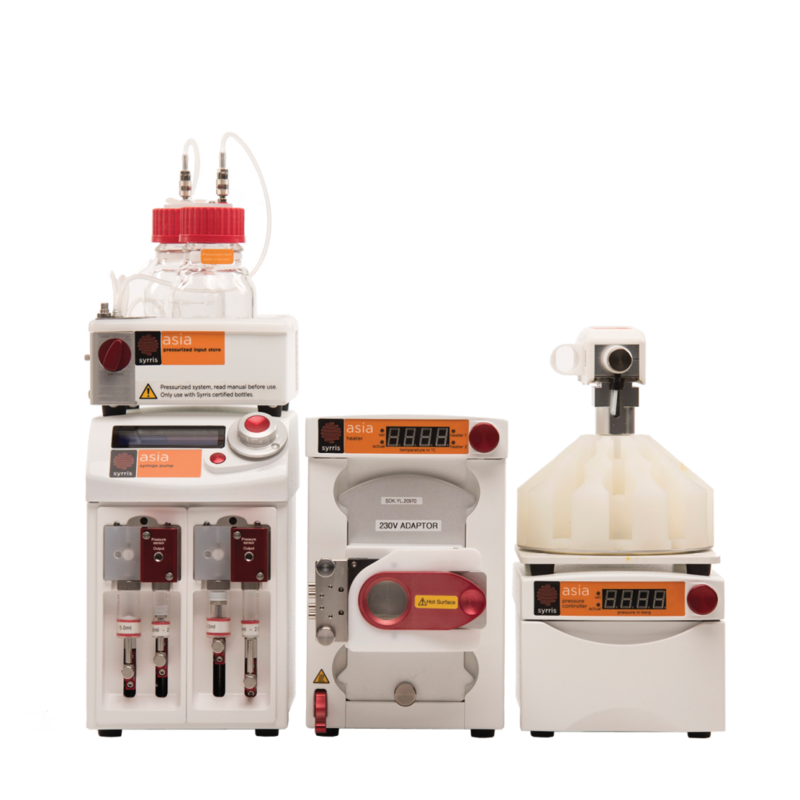 Flow chemistry offers an easy way for scaling up reactions. 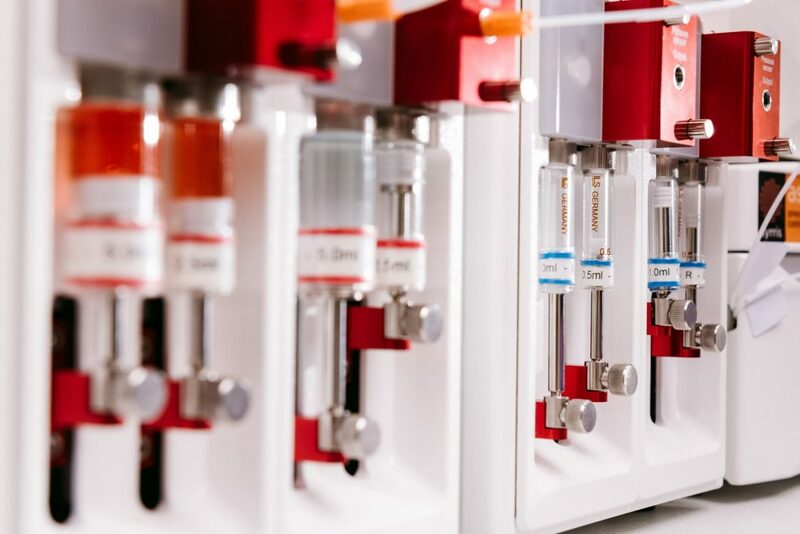 Flow reaction parameters can be optimized using a small microreactor on few milligrams before moving onto a large tube reactor system for synthesizing multi-gram quantities of products. 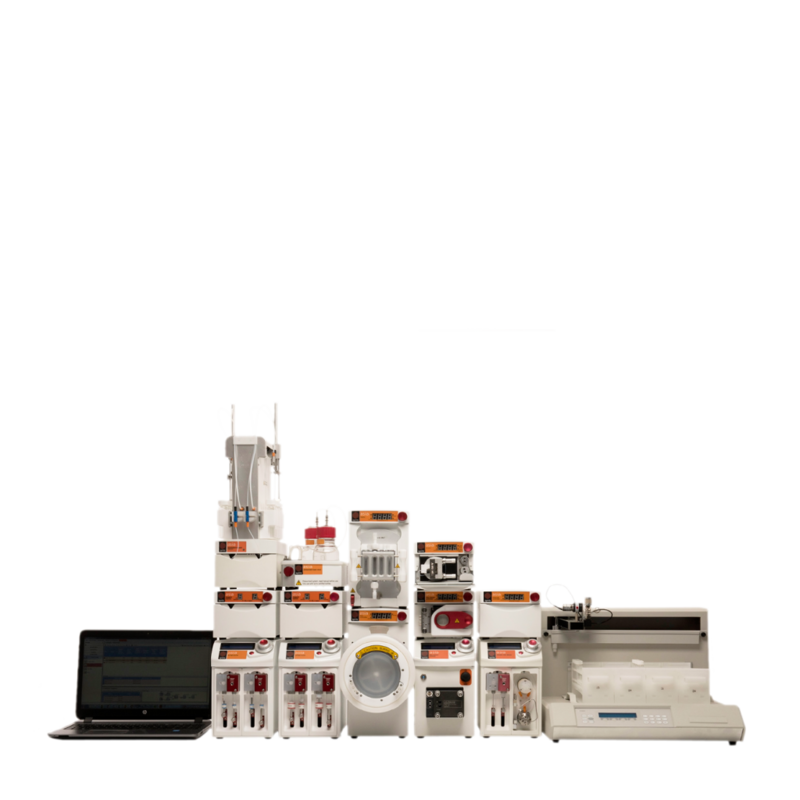 Ideal for chemists who are interested in the utmost functionality and access to the widest range of chemical space. 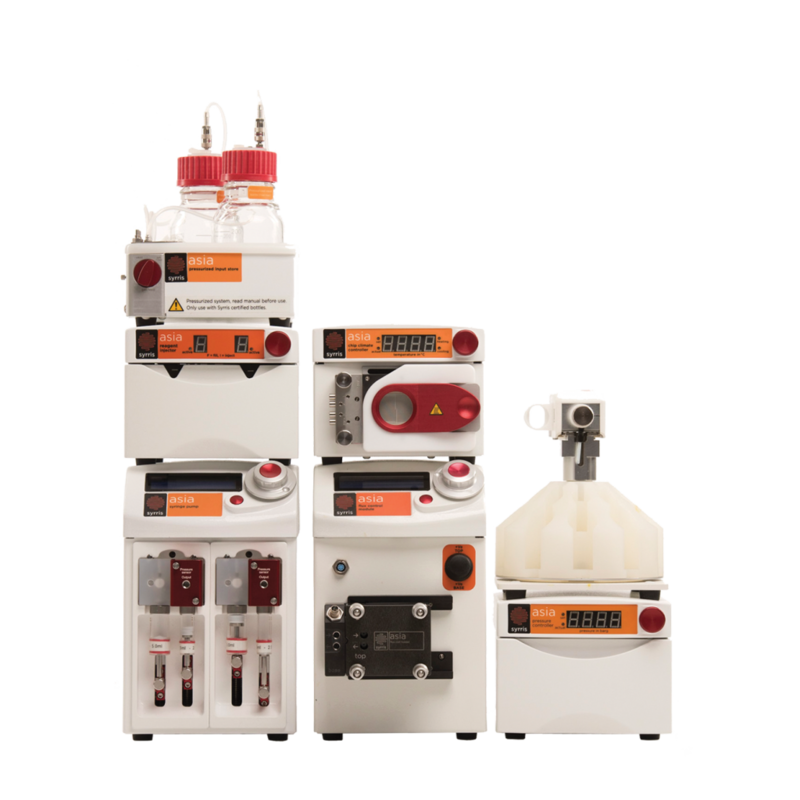 The Asia Premium Systems offer a full range of Asia modules and enable standard flow chemistry operations (reaction optimization, scale-up, etc.) as well as advanced use (electrochemistry, multi-step reactions, cryogenic reactions, etc. ).